Bhubaneswar: “Mercatique 2018”, the annual Business Conclave organized by MAXIM, the Marketing Association of XIMB, took place at Xavier Institute of Management, Bhubaneswar on Sunday, 5th of August. 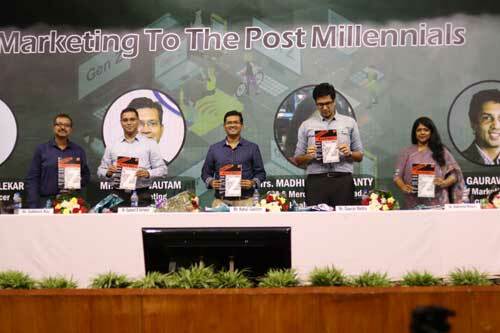 The theme for this year’s conclave was “Marketing to the Post-Millennials”. This conclave was aimed at addressing the students at XIMB to help them gain new perspectives on existing and emerging market solutions. Mr. Sumeet R. Verlekar (CMO & Global Marketer), Mr. Rahul Gautam (Vice President – Marketing, Ford India Pvt. 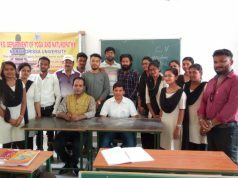 Ltd.), Ms. Madhumita Mohanty (General Manager & Merchandising Head, Health & Glow), and Mr. Gaurav Mehta (Chief Marketing Officer, GirnarSoft) were the speakers for the occasion. Prof. Subhasis Ray (Professor, XIMB) served as the moderator for the event. The first speaker of ” Mercatique 2018″ was Mr. Sumeet R. Verlekar. He opened with how the post-millennials stand out and the factors that should be considered when marketing to them. Gen Z is extremely tech-inclined and has a low attention timespan. They need short, snack-able content which is less focused on data and more on visuals. He concluded his presentation with a summary of what it takes to appeal to Generation Z. The next speaker, Mr. Rahul Gautam, started to elucidate on how his personal experience of being a father to Generation Z kids has made him realize the vast changes that are coming in the future. He explained how this generation values self-education and will start their own venture rather than submit to the status quo. He showed how Ford designed its ad campaign for this mobile-first generation. He concluded his session by stressing on the importance of psychology in marketing. Ms. Madhumita Mohanty was the third speaker of the day. She dived into how this generation can multitask effortlessly. She then outlined how the priorities and values of this generation are very different from the previous ones. They have heightened individualism and prioritize fun and experiences over sacrifice. She spoke about how social media influencers are now preferred to celebrities as far as endorsements are concerned. She finished by explaining how emerging brands like Wow Shampoo and Hooda Beauty have designed their product and content based on customer feedback, and how that has led to their success. Mr. Gaurav Mehta was the final speaker of the day. He started with the marketing jargon “MECE” – Mutually Exclusive Collectively Exhausting. He stressed the importance of understanding the cultural values of your customer. He went on to explain how Generation Z is good at figuring out their life priorities. They are born in an era of comfort and have more avenues to make money. Their acceptance of failure is higher than the previous generation. He concluded with how this generation is homeward bound. The enriching and thought-provoking speeches were followed by an interactive Q&A session with the guest speakers answering thoughtful and challenging questions posed by the students. Prof. Subhasis Ray then shared his insights and learning with the audience. This was followed by the launch of MAXIM’s marketing magazine – “MaxEdge”. The event concluded with a vote of thanks delivered by Mr. Gaurav Seth, Shadow Member, MAXIM.